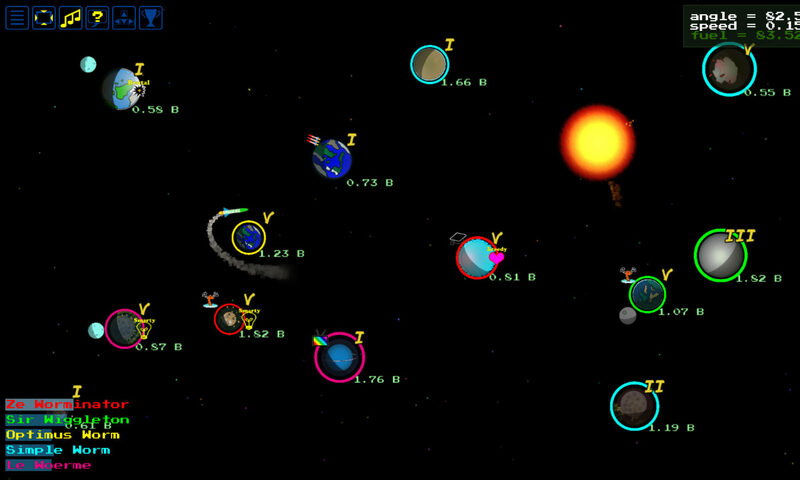 SpaceWorms features not one, not three, but two control schemes. Amazing. The precision control scheme gives the player precise control over the exact rocket angle and speed. Alternatively, you can switch to the action control scheme and change your rocket speed by the duration you are holding down the launch button. 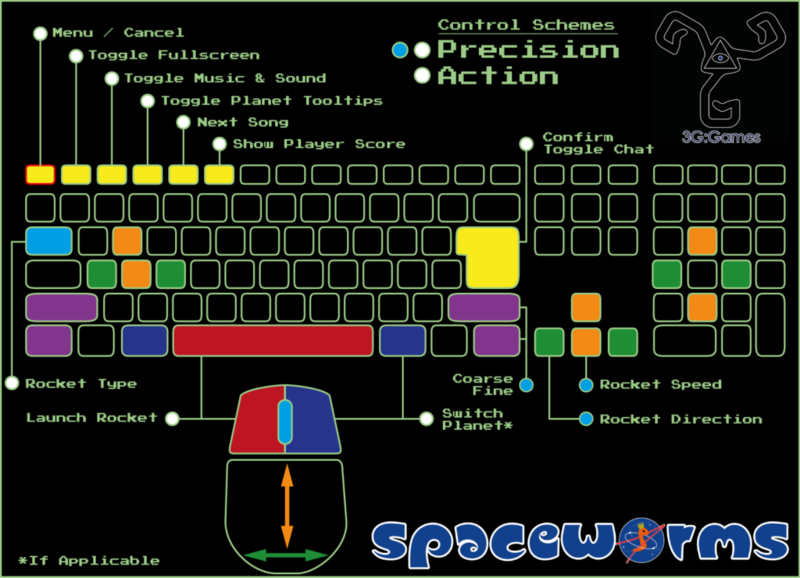 Controls for both control schemes: Precision and Action.